At the request of county Administrative Officer Jeff Benko, the Advisory Board agreed to hold the meeting at 7 p.m., rather than in the middle of the day, as has been the custom, and at the Community Center in Veterans Park. The Community Center offers easier access to citizens, particularly given increased Courthouse security, Benko told the Advisory Board at its most recent meeting on July 8. The foster program operated by the Animal Control Department has created an active group of people who have become vocal in advocating for the department and the animal shelter it operates. At the July meeting, about 15 people attended, and most were there to show support for the foster program. Wendy Jackson, a foster program coordinator, helped spread the word when the animal shelter flooded on Aug. 18, sending pictures to the media and to county officials. “This is a fairly regular occurrence and why the county needs to move forward with a new shelter,” she said. The volunteers, working through the Friends of the Oconee County Animal Shelter, were the driving force behind the Wag’n Wheel Petfest held on Aug. 22 at Heritage Park south of Farmington. The event raised more than $8,400 for the foster program and the related medical fund, Vickers told the Animal Control Board in an email message she sent it on Sept. 11. The status of the existing shelter is the first item on the agenda for Wednesday’s meeting after the call to order and approval of the minutes of the July 8 meeting. The approval might take time, as the Board members at the July meeting could not agree on the minutes of the meeting on Feb. 11. Board Secretary Helen Fosgate, a retired science journalist, resigned the secretary position because, she said, Board members were changing the minutes to reflect what they wanted them to say rather than what happened at the meetings. 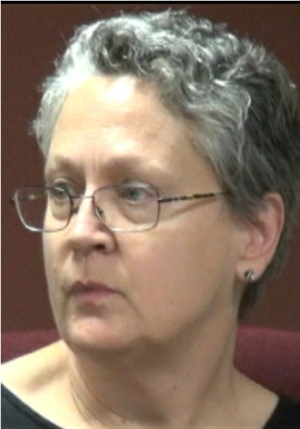 The county web site still does not contain an agreed-upon set of minutes for that February meeting, and Catlyn Vickers, Animal Control Department director, told me last week that the Board will revisit those minutes on Wednesday, though this does not appear as an item on the preliminary agenda for the meeting. Fosgate tried to get the Board at that July 8 meeting to agree to ask the Board of Commissioners to move forward with a new facility, but it would not. Instead, the Board said it needed additional information on the options, including renovation of the existing facility. In the meantime, one Board member, Janet Calpin, has visited the existing shelter and written to Board of Commissioners Chairman Melvin Davis saying that the existing facility has many inadequacies. “I truly feel that a new facility is needed,” she wrote. Administrative Officer Benko forwarded her letter to the other four commissioners, according to an email written by Benko on Sept. 3, which I obtained, along with other correspondence, through an open records request. The Board will get an update on the foster program following the discussion of the shelter. Data I obtained from another open records request provide evidence that the program has reduced the number of euthanized animals and increased the number of animals the shelter it able to adopt out. At the July meeting, Board member Calpin said that the foster program should be split off from the Animal Control Department in the next two to three years. The foster program started sending animals to foster homes in March of 2014, according to the records the county provided me. The minutes of the Feb. 26, 2014, Animal Control Advisory Board meeting give no indication that the foster program was discussed at that session. At the meeting this July, Chairman Davis, who, according to minutes, does not normally attend Animal Control Advisory Board members, praised the Board for its work. He also told the members they should review the resolutions passed by the Board of Commissioners in 2010 and 1989 as well as their own bylaws to see if these documents needed to be updated. The 2010 ordinance, which built upon the one in 1989, says the Animal Control Board, with its six members appointed by the Board of Commissioners, has five duties. The existing bylaws, dated April 5, 2011, list fairly routine matters, such as that the Animal Control Advisory Board elects its own chairperson, vice-chairperson, and secretary. The bylaws also state that the Board should meet four times a year, with February and July listed as two months in which meetings should be held. The chairperson or the animal control director can call additional meetings. The county web site lists only one meeting in 2011, two in 2012, three in 2013, and two in 2014. The Board already has met twice in 2015. A majority of the Animal Control Advisory Board members can change the bylaws, but they are subject to final approval of the Board of Commissioners. The draft agenda that Vickers released to me this week indicates the Board will get an update on the status of work on revisions to the existing ordinance. Haygood said it would be possible to create a more restrictive ordinance than exists in the county at present, and he would move in that direction if informed by the Board of Commissioners that it wished him to do so. Haygood said his work is directed by the dictates of the BOC, and changes in the existing ordinance have not been a priority. Haygood said the first thing he would do if instructed to make the ordinance stricter is look at ordinances in more urbanized areas to see what others have done as a county moves from rural to urban. The Animal Control Advisory Board is scheduled to review enforcement of the existing ordinance before turning to the issues of tethering and hoarding. 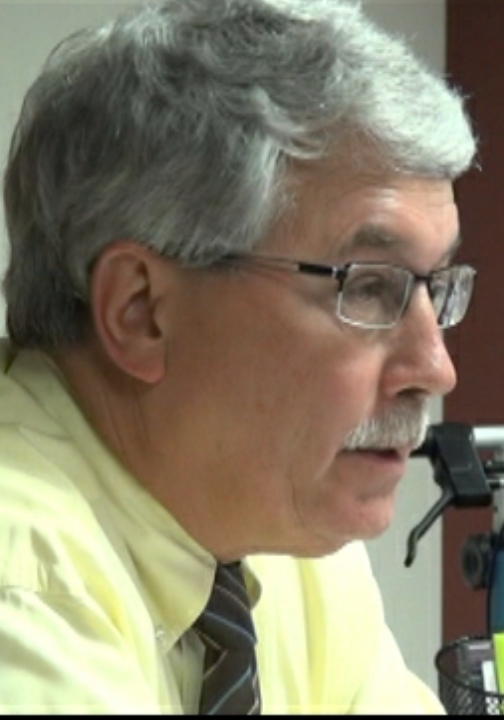 Board member Tom Beacorn did not attend that July meeting, his first since being appointed. Restrictions on hoarding would be designed to prevent residents from keeping large numbers of animals on property that cannot support them. At the meeting in July, Chairperson Wells interrupted Crystal Berisko, adoption rescue coordinator, during comments she was making to the Board because, according to Wells, Berisko had exceeded a five-minute restriction allowed for citizens. Berisko is an employee of the Animal Control Department, and County Administrative Officer Benko said staff, in the future, should be given time on the agenda separate from the time allocated to citizens. Citizens who attend the meeting on Wednesday will be given an opportunity to speak, but only after the Advisory Board has deliberated on all of the issues on its agenda. Each citizen will be limited to five minutes of speaking time, according to the agenda. I think you meant "inadequacies"
Thank you, Dan. I fixed the error. I apologize for the mistake.